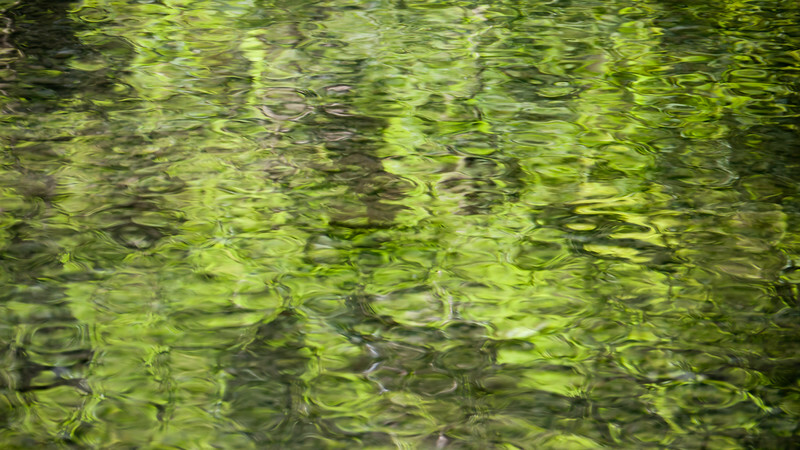 As a follow up to last weeks green Boston watercolor photograph, here comes another composition of intermingled, reflected greens. Besides the colors and the fact the it is again only water that you are seeing, the two photographs are quite different though. The version above was created in Bavaria, close to the small town of Siegsdorf, and the body of water is a river (Traun) and not a pond. Consequently, the waves are more shallow and intermingled and thus reflect the leaf colors much more chaotically. Nevertheless, the result is, in my opinion, an attractive, abstract, green marbled watercolor composition.